Join Kris for this fun class and learn how-to make downsized quilts using the patterns from The Cake Mix Quilt Book Vol One and Moda's Cupcake Mix Recipe foundation paper packs. Choose any pattern from the book and use Kris' handy mapping table to guide you to the Cupcake Mix Recipe foundations needed for that quilt.The Ganache quilt from The Cake Mix Quilt Book vol. 1 will be demonstrated in class in the larger Cake Mix size and a miniature version using the Cupcake Mixes. The technique is the same for all the Mix recipes so feel free to choose whichever pattern you would like to do. 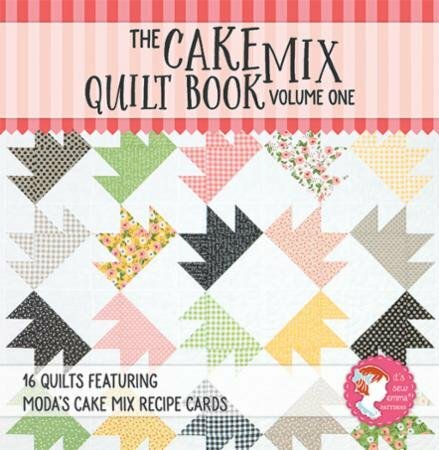 Required Book: The Cake Mix Quilt Book Vol One and Cupcake Mix Recipe packs for the quilt you are making. Copyright © 2007-2019 - The Granary Quilt Shop Inc.